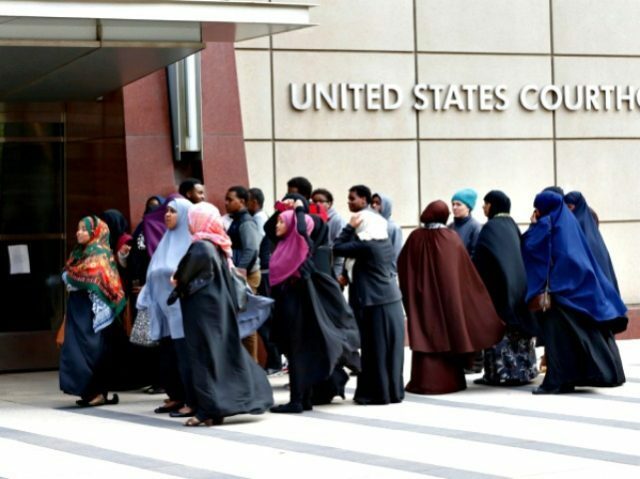 Somali refugees are arriving in the United States at the highest rate ever in the first two months of Fiscal Year 2017, according to the State Department’s interactive website. Between October 1, 2016, the beginning of the fiscal year, and December 7, 2016, a total of 2,775 Somali refugees have arrived in the United States. That rate is more than thirty percent higher than the previous record during the same period of time during any of the fourteen most recent previous fiscal years, beginning in FY 2002. The State Department interactive website does not provide refugee arrival data prior to that time. In FY 2005, 2,171 Somali refugees arrived in the United States between October 1 and December 7. The 2,775 Somali refugees who have arrived in the United States between October 1 and December 7 of 2016, the beginning of FY 2017, are almost double the 1,399 Somali refugees who arrived during the same time period in FY 2016, between October 1 and December 7 of 2015. Since FY 2002, 100,246 Somali refugees have resettled in the United States, according to the State Department’s interactive website. Of these, 99.9 percent, or 99,909, are Muslim. If FY 2017 Somali refugee arrivals continue at the same rate for the balance of the year, a total of 14,895 will have been resettled in the United States by September 30, 2017, which would be the highest total since FY 2004, when 12,892 Somali refugees were resettled in the United States. Between 1986, when the first Somali refugee arrived in the United States, and 2003 “43,000 Somalis had entered the US as refugees,” according to a Princeton University paper. During this fifteen year period, the annual number of arriving Somali refugees averaged slightly less than 3,000, with the peak coming in 1996, when “nearly 6,500 [Somali] refugees” were admitted. The number of Somali refugees who have been resettled in the United States during the first two months and seven days of FY 2017 is almost as high as the annual average of Somali refugee arrivals between 1986 and 2003. The top five destination states for Somali refugees who arrived in the United States between FY 2002 and FY 2017 are Minnesota (16,052), Ohio (7,677), Texas (7,216), New York (6,408), and Arizona (5,819). The top five destination states for Somali refugees who arrived in the United States between October 1, 2016 and December 7, 2016 are Minnesota (346), New York (300), Kentucky (187), Ohio (172), and Arizona (163). The inauguration of President-elect Trump on January 20, 2017, however, is likely to result in a change in the number of Somali refugees arriving in the United States. Trump has already declared that he will temporarily pause the resettlement of refugees from Syria and other countries that are hostile to the United States. Given the recent record of domestic terrorism by Somali refugees in the United States, Somalia is likely to be among the countries that Trump will consider pausing new refugee arrivals. In September of this year, Dahir Adan, a Somali refugee in his twenties, attacked ten people with a knife at a mall in St. Cloud, Minnesota before he was shot and killed by an off duty police officer. Adan was initially resettled in North Dakota with his father during the 1990s, but subsequently moved to Minnesota as a secondary migrant. On November 28, Abdul Razak Ali Artan, a Somali refugee whose age was either 18 or 20 according to press reports, attacked eleven people at Ohio State University with a car and a knife before he was shot and killed by a campus police officer. Artan, his mother, and six siblings were initially resettled in Dallas, Texas on June 5, 2014 by Catholic Charities of Dallas after living in Pakistan for seven years. The entire family, however, moved to Columbus, Ohio as secondary migrants on June 28, 2014, only 23 days after their arrival in the United States. Minneapolis, Minnesota has the largest Somali community in the United States, estimated to be about 70,000 in total. Columbus, Ohio has the second largest Somali community in the country, estimated to be about 38,000 in total. Bill O’Reilly of Fox News recently called for a more drastic curtailment of the federal refugee resettlement program than Trump has proposed to date. On Monday night’s O’Reilly Factor he proposed a one year moratorium on the entire federal refugee resettlement program, regardless of country of origin. The number of Somalis who have fled the economic and civil unrest in their homeland of Somalia has increased dramatically since 1990. According to the United Nations High Commissioner on Refugees, the Somali diaspora–the “number of Somali migrants living abroad”–has increased from 850,000 in 1990 to 2 million in 2015. Among western countries, the United States is home to the largest number of Somali migrants, estimated to be about 150,000 in total by the United Nations in 2015. Behind the United States among countries in the west in providing a home to Somali refugees are the United Kingdom (110,000), Sweden (60,000), Netherlands (30,000), Norway (30,000), and Canada (20,000).